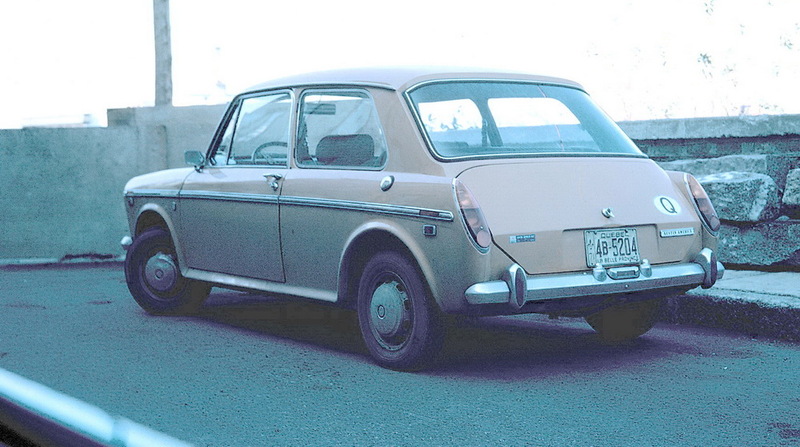 Until the 1970s, British vehicles were very popular in Canada, even though US factories had plants there, building several brands of tough US models. 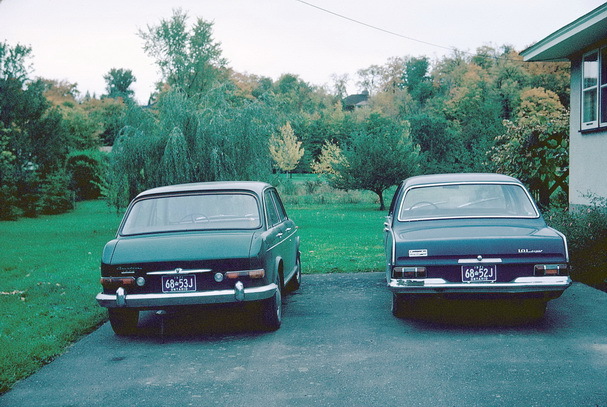 A visit by the writer in the 1970s reminds of some common British makes in service then – an Austin 1300 (named Austin America for export to North America) and the bigger Austin 1800 (dubbed The Land-Crab) with a Vauxhall Vict0r, consecutively registered in Ottawa, Ontario. 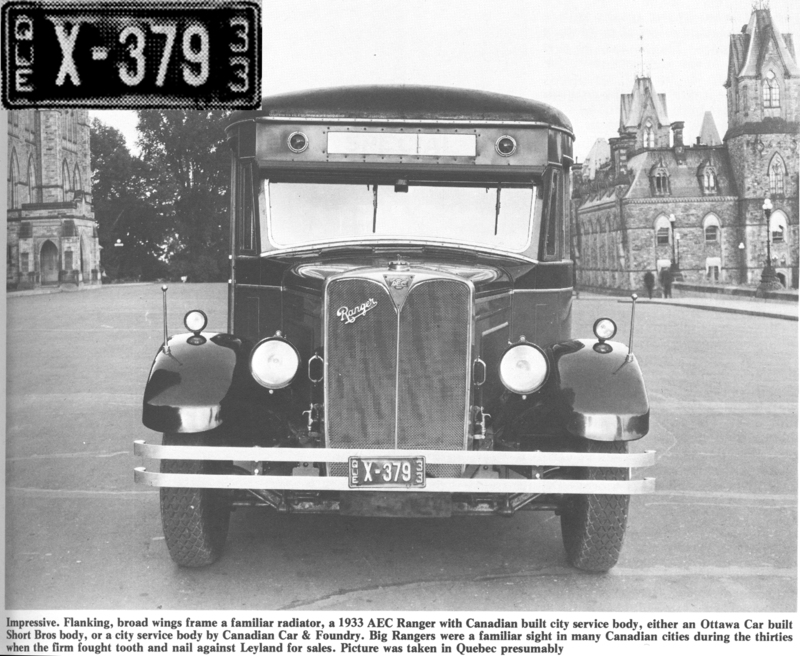 This Austin America carried a ‘Q’ international oval, to display the owner’s pride in his province and perhaps his wish to secede from Greater Canada, the better to develop the bizarre patois of the ancient French language, which the Québecois have made their own..
British Commer lorries were represented in Canada, as this 1954 photo shows of a Government vehicle in Ontario – where the small ‘C’ stood for Cargo (or Carrier (or Commercial) vehicle). Several interpretations worldwide of the letter! . 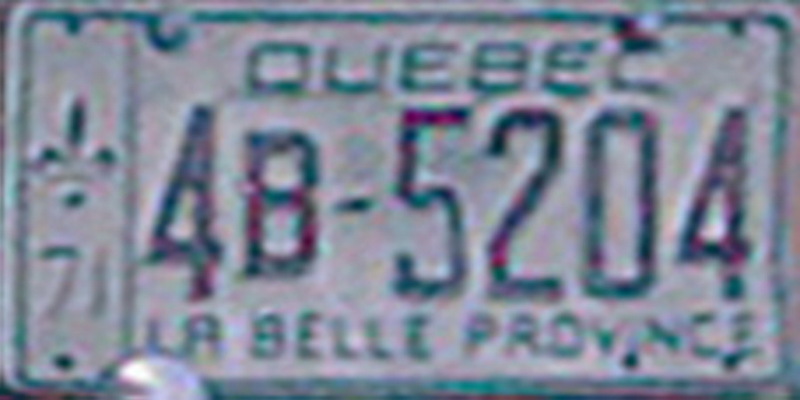 This entry was posted on Friday, July 6th, 2012 at 1:13 pm and is filed under America-North, Canada, Dealer, Historic. You can follow any responses to this entry through the RSS 2.0 feed. You can leave a response, or trackback from your own site. Vic, X in Québec is not unnoted. It’s been in use for many years for dealer plates. 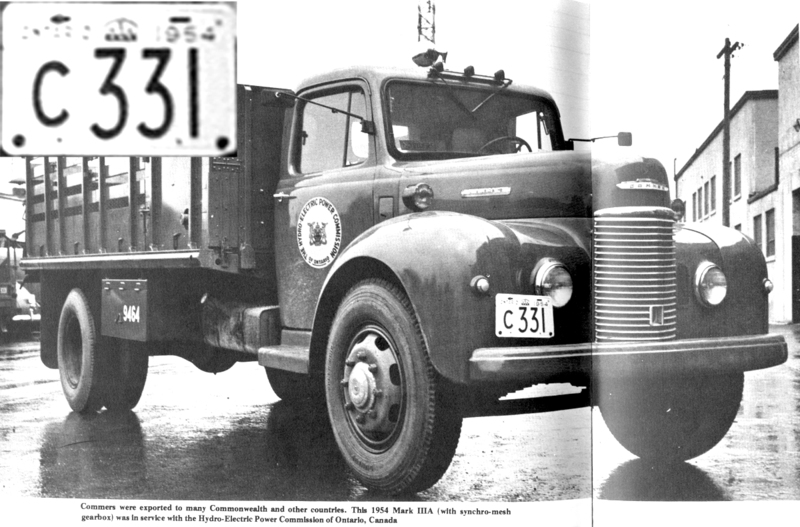 The ALPCA archive describes the plates exactly as illustrated. Oops – that puts ME in my place!